What inspired you to be in the wedding vintage props industry? Having arranged three fabulous family weddings, we found that it takes a huge amount of time, effort & money to find & purchase the props that are required. We felt that by building an inventory of these props we give others time to concentrate on other parts of their big day and leave the props to us. We really enjoyed collecting all of my props for my own wedding, but whilst doing so, I found it got really expensive. We wanted to create a business where brides on a budget could create a beautiful wedding that they’ve dreamed of, by hiring our affordable props. What / who would you say your main influences and inspiration are? We love the gentleness of the 30s, 40s and 50s era. Which is probably why we love the work of Agatha Christie (and why named our packages after her characters). 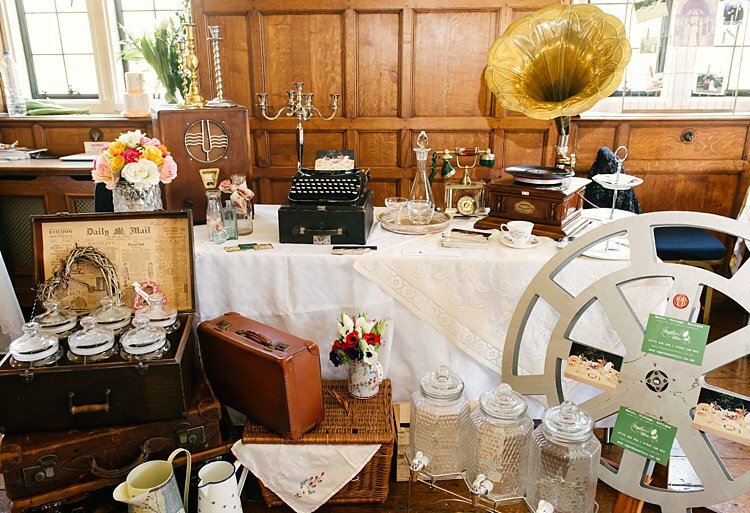 Having our props at your wedding evokes that nostalgia of bygone times. Tell us about some of the cool props you have and their special features. We have a recording old fashioned telephone. So, traditionally your guests would write you a message in your guest book, well here at Agatha’s Attic, we’ve converted our art deco telephone so they can record their message to you instead. Listen back to these message from the USB stick that we will give you after your wedding. This is totally unique and is so different to any other wedding guest book around. As well as our Gramophone, which has been converted to play your own playlist, we have an old 1940s wireless Radio. This looks perfect for any event, especially for a delicious afternoon tea wedding (btw, did we mention that we could provide the crockery?). Having this 1940s radio play some classic Glenn Miller songs in the background will really make you feel like you’ve stepped back in time. Our LightBox is a great alternative to standing light letters. We are pleased to offer our unique wedding light box for your wedding. It is 90cm wide by 140 cm high and can illuminate your initials or photo of the happy couple. Many of our clients prefer a simple set of white initials on a deep black background for a striking effect. As a bonus, when we collect the light box we’ll remove the poster which is yours to keep forever as a brilliant reminder of your big day. It is big enough to stand on the dance floor to be seen by all, which will be a great draw and provide a unique photo opportunity for all your guests. What advice would you give to brides when planning their wedding props and decorations? First of all, it’s important to think of what theme you want for your wedding. Your venue can lend itself to various looks and ideas. 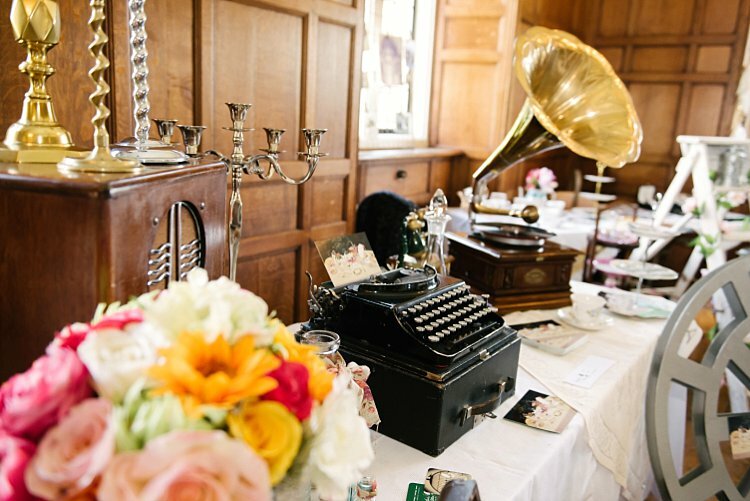 If you’ve booked a grand manor house for your wedding, than think about hiring our converted Gramophone, along with our champagne saucers & candelabras. Or if you’re having a marquee wedding, perhaps hire our ladders, pallet boxes, & beautiful pitchers that can be filled with flowers. We always think its the little touches throughout that make your wedding stand out. Most importantly, brides should remember that you don’t have to buy everything for your wedding to make it look great…they can hire from us at an affordable price. We have a Prop-box (well props in a suitcase) we’re really excited about as it has been so much fun collecting all the props for it. 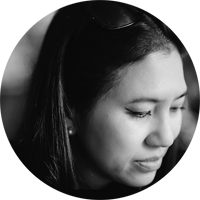 You can have fun dressing up as a 1920s flapper girl….a pirate….a sailor….or even just goofing around with massive sunglasses. There’s so much fun to have with these items, that we’re pretty sure you won’t be disappointed. You can hire our polaroid camera too, so your guests can have a photo of their silliness to take away with them. We have a Sweet Trunk, which we think is fabulous. 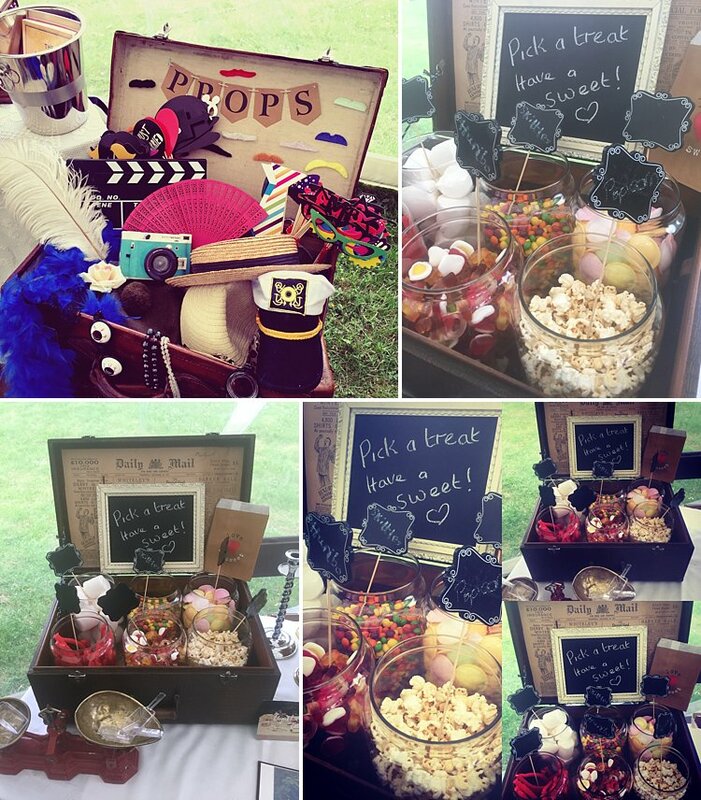 It’s an old vintage trunk, which holds up to 6 sweetie jars, which we can fill with your favourite retro sweets. We include a vintage scale, tong & scopes, paper sweet bags, bunting and a little chalkboard. It’s a different take on a sweet cart, which can take up a lot of room and can be quite expensive. This is sure to keep the kids, including the big kids, busy for a while. Do you love what you do and why? Of course we love what we do. 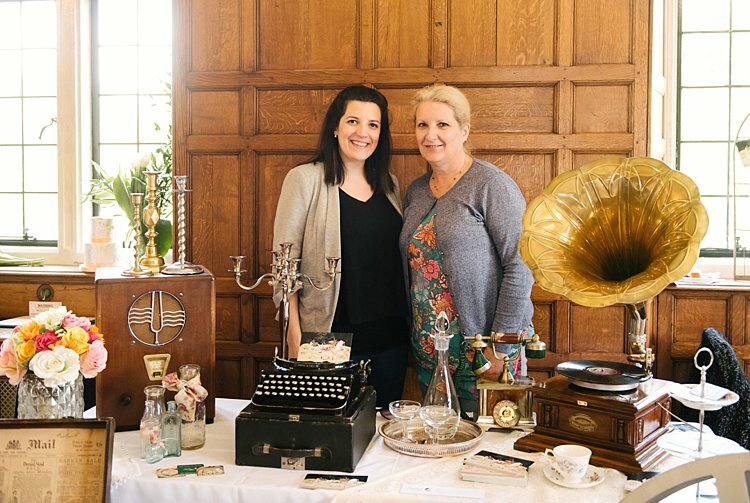 We are really passionate about our props, as many have been lovingly restored and brought into the modern time without losing the vintage look. For instance, our gramophone not only plays vinyls, but your very own music too…just simply plug in your iPod discreetly into the back and your own playlist will play through the horn. It’s amazing and our couples love it. What is your dream regarding your business? 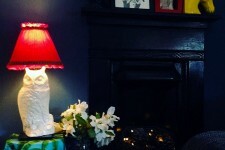 We want brides & grooms to recognise Agatha’s Attic, as a family grown, reliable, affordable and friendly business, who provide the best range and quality props for weddings & events. We would love it, if all brides were to come to Agatha’s Attic for their vintage props. So there you have it, the magic of Agatha’s Attic. 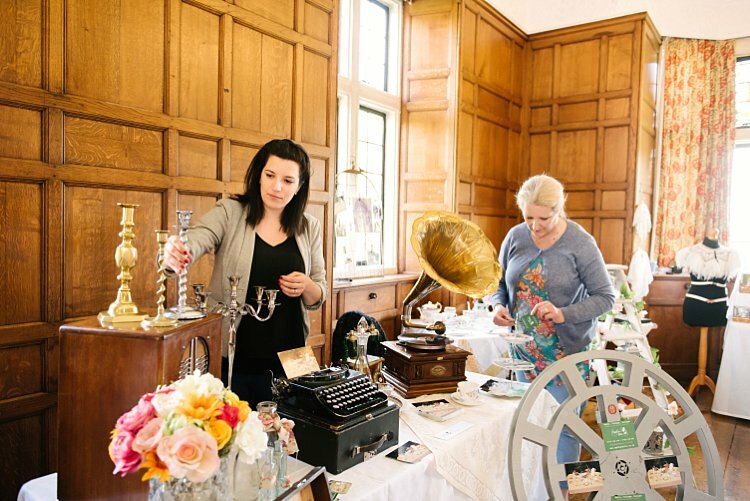 If you are having a vintage themed wedding or party, call Kristie and Lorraine for the perfect touches for your day. Check out their website for an amazing array of the coolest vintage props.